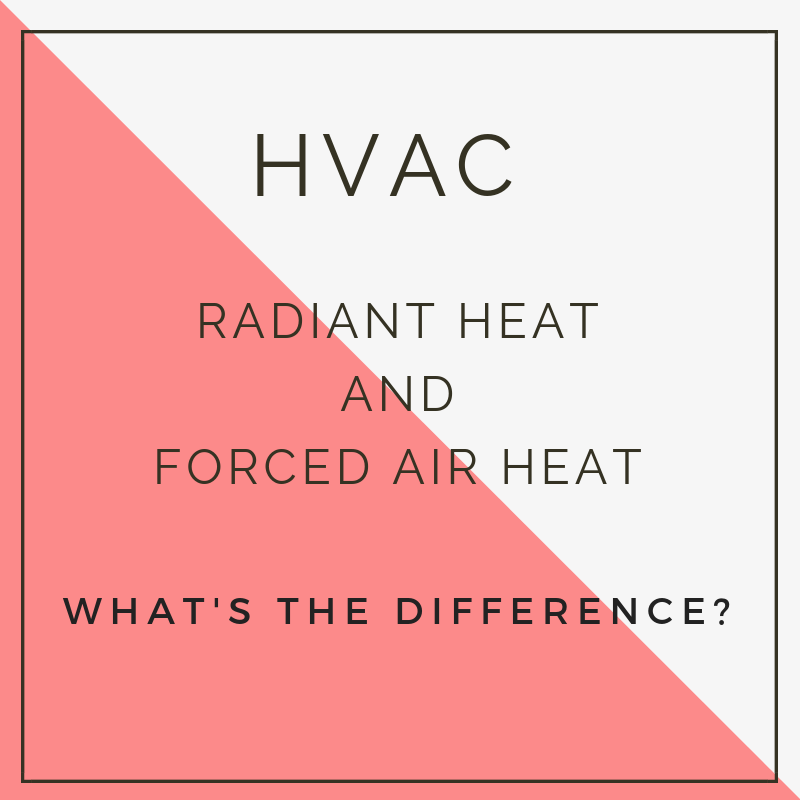 RADIANT HEAT AND FORCED AIR HEAT- WHAT IS THE DIFFERENCE? When choosing a new heating system, homeowners often assume that a forced air heating system is the only efficient and effective choice available. However, a radiant heating system is another option to consider. It is not only important to understand how the two heating systems are different, but also what the pros and cons are of each. A forced air heating system works by circulating heated air from a furnace into a duct supply, thus delivering warm air to various rooms in a house. Once that air cools, it re-enters the ductwork through return registers where it then travels back to the furnace for the cycle to repeat. A radiant heating system works by using a boiler to warm the temperature of water and then pumping that heated water through a network of tubes that are set into panels underneath the floors in a home. The tubes then transfer heat to the panels in the floor to produce heat to materials and objects in each room where the tubes are present. For any additional questions or information, please visit our website or call us at 610-642-6323.